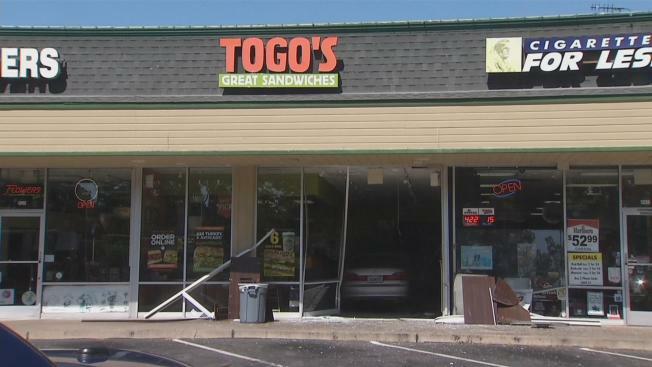 A car plowed into a sandwich shop in San Jose Monday morning (July 25, 2016). Fire and tow truck crews spent Monday morning fishing a car out of a TOGO's restaurant in San Jose. Initial reports indicate that a person drove a Honda Accord into the restaurant located at 1341 Winchester Boulevard in San Jose just before 10 a.m., police said. The driver sustained minor injuries, police said.